Adjusting mechanism of Noden Adjust-A-Bench. 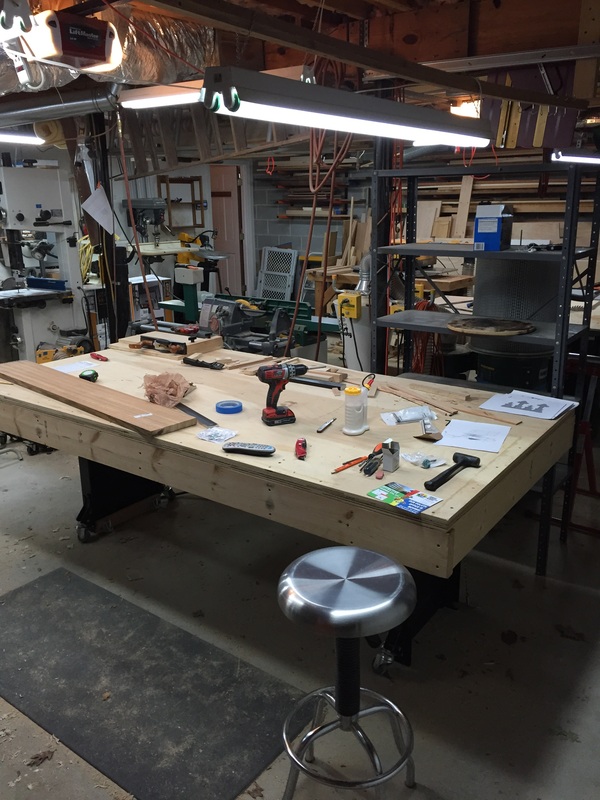 Simply grab the end of the workbench top, step on the foot pedal, raise or lower the top, and release the foot pedal making sure the top is engaged in a notch. The other end has the same mechanism. One of 2 stretchers. Connected the legs with threaded rod encased in each stretcher. Also added my own adjustable feet and swivel casters that I bought over at Rockler. In highest position. I was concerned about it tipping over because the levelers were so close together, but have never had an issue. Wouldn’t recommend putting a lot of weight to one side anyway in the hightest position.